In case you didn’t know she was THAT perfect, Ina Garten was once a nuclear policy analyst for the White House. While that is impressive an accomplishment, her version of chicken parmesan is far more noteworthy to us. This is not the rubbery, deep fried bird covered in bad marinara at every sad food court’s Sbarro. No, ma’am. 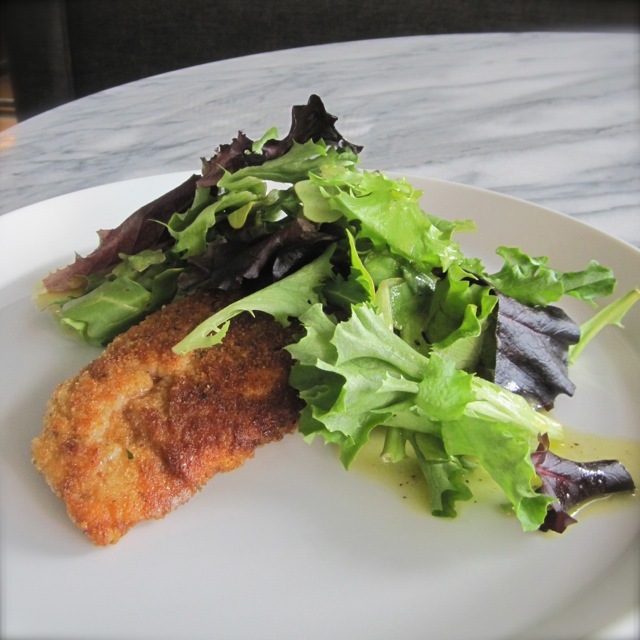 This chicken parmesan almost stumbles into the “healthy” category. We call this side of that fine line between deep fried and pan fried “healthy.” Also, like camouflage, which is back in style AGAIN for some godforsaken reason, smothering it with greens and homemade vinaigrette tricks our brain into thinking the fried chicken breast won’t crush our beach-body dreams. 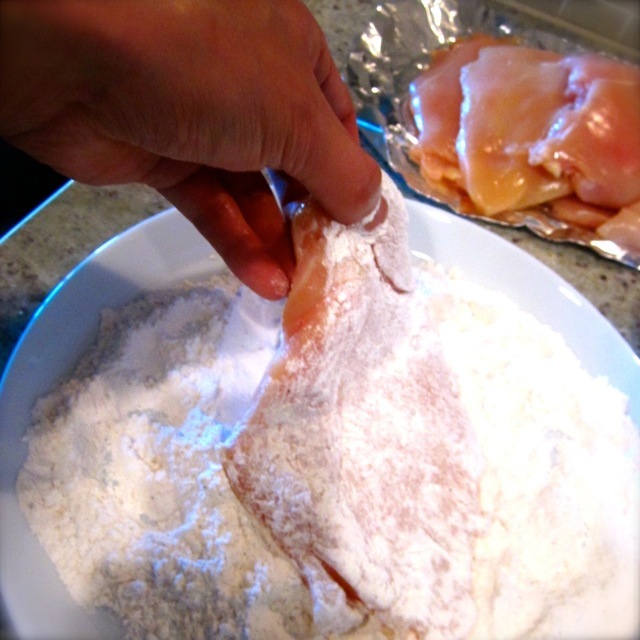 Cover each chicken breast with Saran wrap and pound each breast flat to about a ¼-inch thickness, using a meat mallet (or the bottom of small, heavy saucepan like I do). 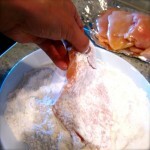 In a deep-dish pie plate (or large, rimmed dinner plate), combine the flour, salt and pepper. In a second dish, beat the eggs with a tablespoon of water. 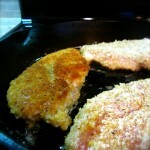 On a third plate, combine the bread crumbs and grated parmesan cheese. Trying to be as clean and sticky-finger free as possible (never gonna happen), dredge both sides of each breast in the flour mixture. 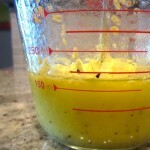 Then coat both sides with the egg mixture. Finally, cover with the breadcrumb mixture, pressing firmly so the mixture adheres. In a large skillet, over medium-low heat, heat 1 tablespoon butter and 1 tablespoon olive oil. 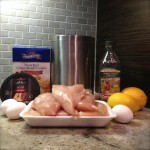 In batches, cook each chicken breast about 3-4 minutes per side, adding more butter and olive oil as needed. 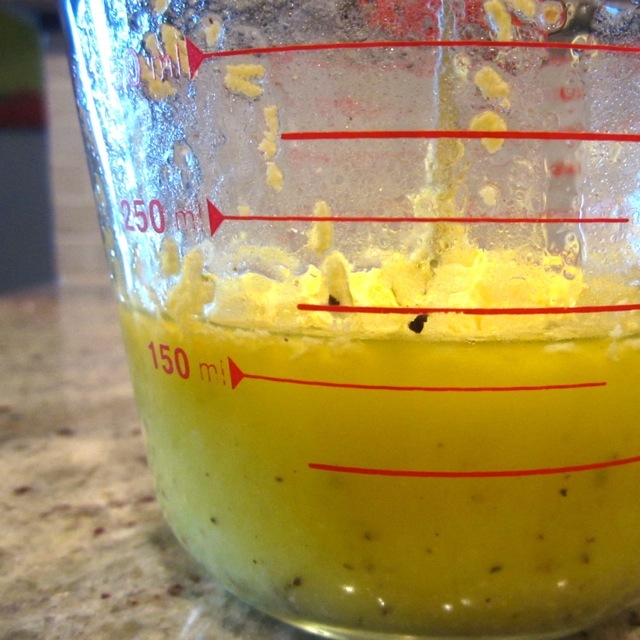 In a small bowl, whisk together the vinaigrette ingredients. Serve by placing a generous amount of salad greens on top of each hot chicken breast and drizzle with the vinaigrette.